Before the Spanish (most likely) introduced the potato to Europe in the later part of the sixteenth century, it was the parsnip that was the main vegetable staple of European cooking. Which is not surprising given that they can be baked, boiled, fried and roasted, also in some countries the leaves are also used as a green vegetable. Parsnips are a half-hardy biennial grown as an annual. There are few vegetables that are as easy to grow, are as nutritious or as versatile as the parsnip. 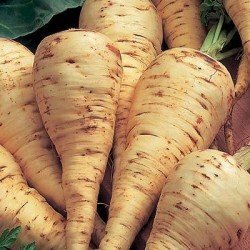 They are available as a fresh vegetable throughout the winter, when there are few other vegetables available, they flavour of parsnips actually improves the longer they are left in the ground during the winter. This is because the winter frosts getting to the roots increases the amount of sugar in them. The major down side to growing parsnips is that they have a very long sowing to harvesting season (almost a full year), they are among the first crops to be sown as soon as the soil is workable, i.e. late winter early spring. And are almost the last crop to be harvested. So they occupy the ground for up to 11 months of the year. For this reason many gardeners with a small amount of space do not grow them, which is a shame as they are such a great vegetable to grow. One way to increase the crops you get from the space is to sow a catch crop of lettuce or radish at the same time as the parsnips. 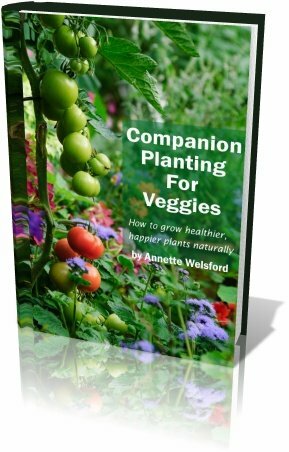 This has two benefits, 1 you get a second crop from the available space and 2 because parsnips can take 4 to 5 weeks to germinate, having a quick germinating crop will show you where you have sown the parsnips so you can keep a lookout for the seedlings. A suitable soil and site for to grow parsnips in your garden. 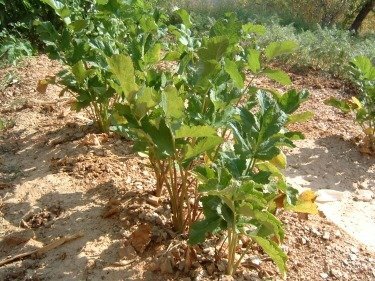 Soil rather than site is the most important factor when cultivating parsnips, if you have a thin gravely type of soil you would probably be better of not attempting to grow parsnips, as you will only get small misshapen roots. Ideally the soil should be rich, friable and slightly on the heavy side, but should not have been recently manured as this tends to lead to the roots forking as do stones. Having said that just about any well drained soil will provide a decent crop, especially if you can follow on from a crop that did have the soil manured. To prepare the soil dig the soil down to a depth of about 10cm deeper than the length of the variety your are going to grow, removing as many stones as possible. However if you soil is very stony it would better to use boreholes filled with sifted soil. Rake the soil level to a fine tilth a couple of days before sowing, which is normally as soon as conditions allow in late winter or early spring. Parsnips dislike very acidic soil and do best when the soil has a pH of about 6.5, so test your soil several weeks before and add lime as necessary to achieve this. As already stated site is not as important as soil , although they do prefer a sunny open site, they will however do very well in a lightly shaded plot. As parsnips really do prefer a long growing season the earlier you can sow them the better ideally in late winter but this can only be done if the soil is not frozen or too wet. So you will probably really need to wait until early spring and in some years even late spring. Don’t worry if you do have to wait until late spring you can still get a good crop. The seed should be sown to a depth of 2 cm (¾ of an inch) and about 15 cm (6 inches) apart, if you are sowing more than one row the rows should be 30 cm (12 inches) apart. The easiest way to sow is to create a drill with the edge of a hoe, and then place three or four seeds at each station. The seeds a fairly large but very light so it is best to sow on a day when there is no wind about. By sowing three or four seeds at each station you are pretty well guaranteed to have at least one germinate and will most likely have a choice of seedlings when it comes to the time to thin out, you will be able to leave the strongest seedling. Some varieties or parsnip come in pelleted seed form which makes it easier to sow them. Once you have sown the parsnip seed cover with soil and firm down, if the soil is dry water well. Parsnip seed can take three to four weeks to germinate so if you like sow some lettuce or radish seed in between the parsnip seed so that these quick germinating crops will mark the row. It will also give you a second crop from the same space. Carefully how between the rows to keep the weeds down, ensuring you don not damage the parsnip roots. Once the seed has been sown other than keeping on top of the weeds and watering when needed parsnips required very little attention. Once the seedlings are about 5 cm (2 inches) thin them out to leave on seedling at each station. There is not point in trying to use the thinnings as new plants as they will not produce good roots after being transplanted. You can tell when parsnips are ready for harvesting as the leaves start to turn yellow and begin to die back. Those seeds sown in early spring should be ready about mid autumn however there is no rush to harvest them all at once, as you can leave them in the ground until needed. Indeed by doing so you can improve the flavour as when a frost gets to the roots it increases the sugar content giving a sweeter taste. So leave them in the ground and dig up as and when needed through out the winter, however do not leave in the ground after February as the parsnips will start to grow again which causes the centre of the root to become woody and not suitable for cooking. Short rooted varieties grown in light soil may be harvested by loosening the soil around the plane and then pulling. However all other varieties and short rooted ones grown on heavy soil will need to be dug out if you don not want to break the root.